Around 30 years ago, this philosophy spurred three chefs from the South, who were cooking French food at the time, to help create what’s known today as Southwestern cuisine. To give food a sense of place, close to home. “It was the revolution of American food. A few of us in Texas and the Southwest were doing what Roy and Alan and a group of people were doing over here,” says chef Stephan Pyles, a fifth-generation Texan who’s opened 23 restaurants in six cities over the past 35 years. But back in the 1980’s, it was all beginning. 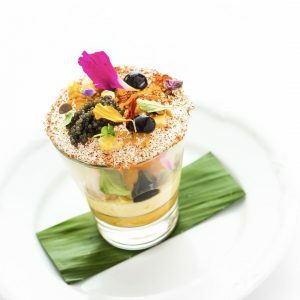 “Stephan, Robert and I were the pioneers of Southwest cuisine. 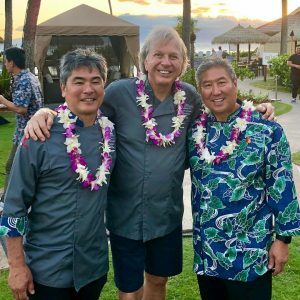 And that is a Texas-style cuisine, indigenous to our area,” explains Dean Fearing, long known as the “Father of Southwestern cuisine,” which he calls “the only true American cuisine.” He became an ambassador to help chefs here in Hawai’i like Roy Yamaguchi and Alan Wong in their mission to mobilize the Hawai’i Regional Cuisine movement. Robert Del Grande was also was instrumental in the rise and growth of Southwestern Cuisine, which rejected the notion that food — and cooking styles — should be imported. Rather, they embraced what was around them. 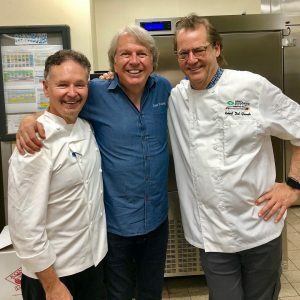 Longtime friends and Texas chefs Stephan Pyles, Dean Fearing and Robert Del Grande, known as the pioneers of Southwestern Cuisine. Courtesy photo. 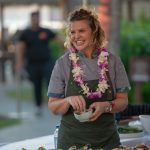 Maui hosted HFWF from October 19 to 21, 2018. Courtesy photo. 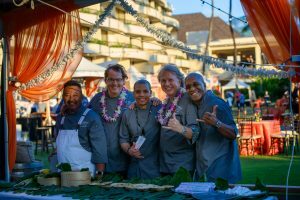 Chefs team up for Spiked!, the HFWF event at Sheraton Maui. Courtesy image. Featured chefs for the Spiked! 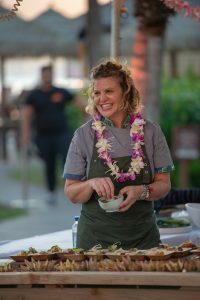 dining event for HFWF at Sheraton Maui Resort & Spa on Oct. 20, 2018. Courtesy image. Chefs Alan Wong and Robert Del Grande at Spiked! for HFWF. Courtesy photo. Chef Dean Fearing from Texas, showcasing his dish at Spiked! for HFWF. Courtesy image. Spiked! chefs throw shaka for HFWF. Courtesy photo. Chefs gather for Spiked! at Sheraton Maui Resort & Spa. Courtesy photo. Friends and chefs Roy Yamaguchi, Dean Fearing and Alan Wong unite at HFWF. Courtesy photo. The chefs were not only great buddies, but even played together in a band while traveling around the country, promoting the uprise of Southwestern cuisine. As Hawai’i defined its own movement that respected local, friendships extended over the miles. 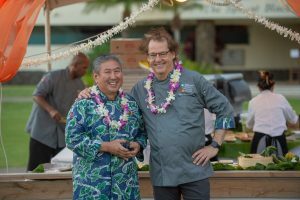 When Yamaguchi and Wong started the Hawai’i Food & Wine Festival (HFWF) in 2011, the southern chefs were natural supporters. 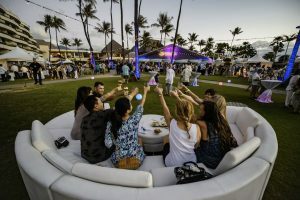 Indeed, in seven short years, the festival has expanded from a three-day event with 30 chefs in Waikīkī to a triple-weekend culinary celebration spanning three islands that attracts more than 100 internationally-renowned master chefs, culinary personalities, winemakers and spirit producers, along with 10,000+ attendees. Pyles is known as a tireless philanthropist, involved in humanitarian and hunger-relief efforts, and awarding $250,000 in culinary scholarships in his name over 13 years. 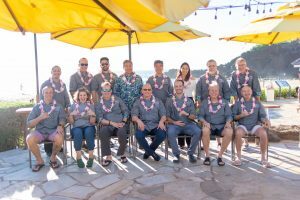 Similarly, giving is a huge component of HFWF, raising record amounts for 23 non-profit beneficiaries in Hawai‘i and surpassing $2 million in seven years. 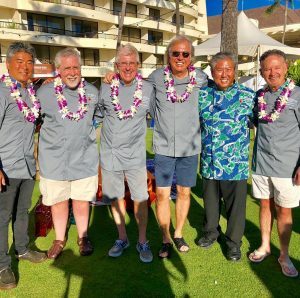 From October 19 to 21, 2018, Maui hosted the festival, with Roy’s 21st Annual Golf Classic in Kā’anapali; the Spiked! 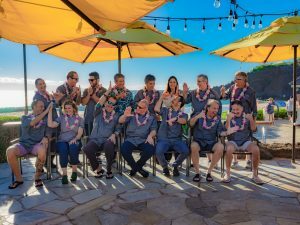 walk-around dining event at Sheraton Maui Resort & Spa; a family-friendly event called Keiki in the Kitchen at Whaler’s Village and a six-course sit-down dinner with seven chefs at Hyatt Regency Maui Resort and Spa, known as Symphony of Flavors. 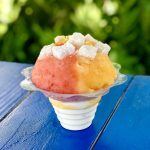 Our events are just one piece of the festival, which spans from October 6 to 28 on Hawai’i Island, Maui and O’ahu. Del Grande says there’s more to experience and absorb every time he comes here. His culinary creation included kampachi with a local edamame purée and cucumber broth, “spiked” with serrano pepper. He coined that great quote up top, that you know where you are by what you’re eating. A concept that applies in his home of Texas, and our home here in Hawaiʼi. All three chefs have garnered countless awards and accolades. Learn more about them and the other festival chefs here. 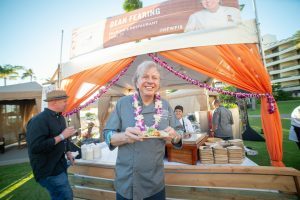 Hawai’i Food & Wine Festival continues with a huge number of events on O‘ahu through Sunday.